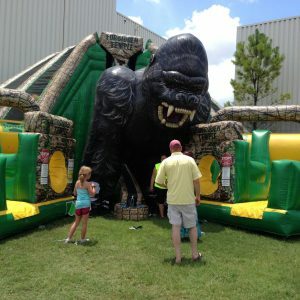 Dragon’s Castle medieval-themed obstacle course is a crowd pleaser. 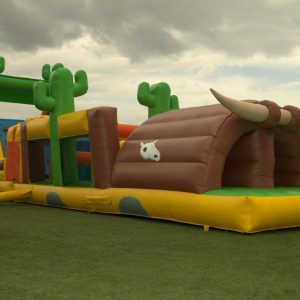 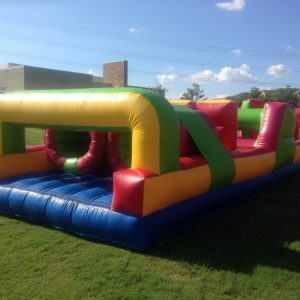 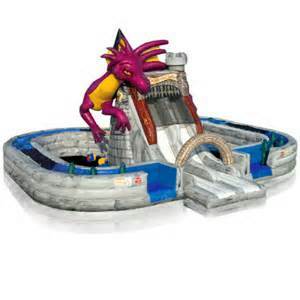 Two opponents start out on opposite ends of each other and race through a series of inflatable tunnels, obstacles, race up a climbing wall and finish down a slide by side. 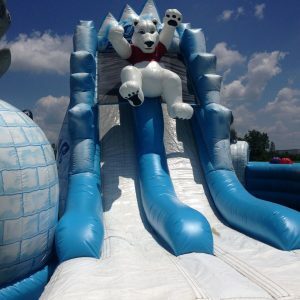 The first player to the end of the slide wins.